I Found a Home I Like at an Open House... Now What? If you are like most home buyers you start by searching online and going to open houses, whether you are still in the dreaming stage or already working with a Realtor. 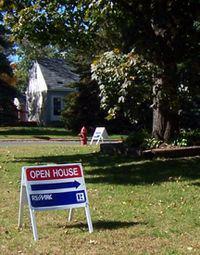 Open houses are a great way to get to know neighborhoods, check out Realtors and get a sense of the market. So what happens if you find a home you really like... what comes next? If you are already working with a Realtor, schedule a showing with your agent. If you don't already have an agent representing you, find one. It could be the agent you met at the open house but it doesn't have to be... it could be an agent you met and liked at another open house or someone you found online or someone recommended by a friend. What's important is that it is someone you feel comfortable working with.